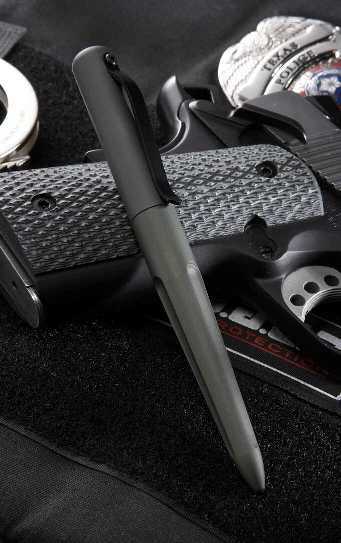 TDP-1 (Tactical Defense Pen): This pen was designed with the military and law enforcement communities in mind. One end is pointed, which could be used as a very effective defense tool while the other end is blunt and could be used as a control device. The aircraft grade aluminum body with type 3 anodizing give this pen a very tough and reliable construction. 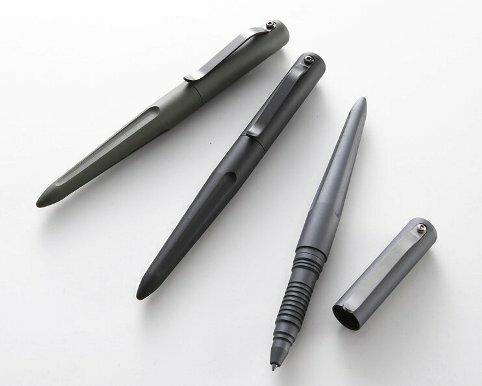 Not only is this pen designed to be used as a defense tool and writing instrument but it also has a very attractive appearance and can also be used as a PDA stylus or pen. The designer of the TDP-1 is a world-class knifemaker and designer who has spent most of his life practicing martial arts and trained in several countries. This background enabled him to design the proper tactical defense pen for these extreme situations.